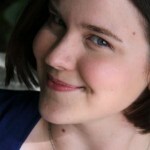 The Nerd In Heels: Interview with Emlyn Chand author of Farsighted and GIVEAWAY! Interview with Emlyn Chand author of Farsighted and GIVEAWAY! Alex Kosmitoras’s life has never been easy. The only other student who will talk to him is the school bully, his parents are dead-broke and insanely overprotective, and to complicate matters even more, he's blind. Just when he thinks he'll never have a shot at a normal life, a new girl from India moves into town. Simmi is smart, nice, and actually wants to be friends with Alex. Plus she smells like an Almond Joy bar. Yes, sophomore year might not be so bad after all. Unfortunately, Alex is in store for another new arrival—an unexpected and often embarrassing ability to “see” the future. Try as he may, Alex is unable to ignore his visions, especially when they begin to suggest that Simmi is in danger. With the help of the mysterious psychic next door and new friends who come bearing gifts of their own, Alex must embark on a journey to change his future. “Okay, I think I will.” I’m incredibly intrigued, because first off, it’s a psychic shop—how weird is that?—and second, its presence made Dad super uncomfortable—also very cool. I waste no time heading next door to check out the scene. As I step cautiously into the new shop, a recording of soft, instrumental music greets me. I can make out chimes and a string instrument I don’t recognize but for some reason reminds me of snake charmers. The smell of incense fills my nostrils, which explains the burning I detected earlier. “Hello?” I call out into the otherwise quiet room. Nobody answers. I walk in deeper, sweeping my cane out in front of me in a metronome fashion. This place is new to me, so I need to be especially careful while moving around. Thump! Despite my precautions, I stub my toe on something hard, big, and made of wood. Just my luck to stub the same toe twice in one day. I reach down to press my fingers into my throbbing foot to alleviate some of the pain. Something teeters before rolling off of the chest and across the floor; the sound it makes indicates a curved path. Suddenly, the object stops. Somebody’s stopped it. “Hello,” a deep, feminine voice responds, placing more emphasis on the first syllable than the second. “I- I’m sorry I knocked that thing over. I didn’t mean to…” I hope she’s not angry. Probably not a good idea to get on a psychic’s bad side. “That wasn’t just a thing, it’s a crystal ball,” she says as she walks over, sending my blood pulsing through my veins. I sense her looking at me for a moment before she places the ball back on top of the chest. “Can it see the future?” I ask, allowing my curiosity to outweigh my uneasiness. “Oh, okay.” I tighten my hand around my cane and turn to leave. It may not be the most polite thing to do, but all of this hocus-pocus stuff is freaking me out more than I would’ve guessed. The psychic lady speaks again, stopping me cold. “Don’t run away, Alex Kosmitoras.” She must’ve spoken to Mom earlier today. That must be how she knows my name. “What?” I ask in confusion. What abilities is she talking about? I turn to face Miss Teak, but find she’s already gone, returning to wherever she was before I got there. Is it safe to leave? I trail my fingers across the wooden box I ran into earlier; a thick coat of dust clings to the tips as I pull away. If this shop just opened, why is it already so dirty? I wipe my hands over my shirt to get the gritty substance off. Shivers rock my whole body. Something about this place is wrong, and I’m not sticking around to figure out what. Tapping my cane along the floor, I’m able to find the exit without knocking into anything else. Hello readers, I would like to introduce Emlyn Chand to you all, author of Farsighted, a brand new paranormal Young-Adult series, Fasighted. Emlyn was kind enough to answer some questions about her book and what encouraged her to writing this book. What was it like writing from the viewpoint of a blind, teenage boy? Were there any parts of Alex’s personality/life you found hard to come up with? You know, it wasn’t as hard to write blind as I initially thought it would be. It didn’t take long to begin “seeing” Alex’s world the way he does. I wrote the entire story without knowing what anyone or anything looked like (except for Alex himself). When it came time to shoot the book trailer, the directors were asking me questions about the scenes and which props they should bring, and I really, really didn’t know what to tell them! As I got to know Alex better and better, it became easier to tune into his way of seeing things. I read books about coping with blindness in a school setting and spent a great deal of time pondering how I might behave if I couldn’t see. In the story, Alex has always been blind; he’s always known the world to be a certain way. Not everyone understands that, and they have trouble talking about it with him. I gave Alex a tendency to overcompensate. He knows who he is and what he’s capable of, and he wants the world to know it too, so sometimes he overdoes things a bit. Your cast of characters has international flavor? What’s behind that choice? I don’t see why my characters all need to belong to the same culture or ethnicity. What fun is that? Culture shapes our characters in a big way, so by diversifying my cast, I was able to hit on more types of personalities and situations. Grandon is based on my hometown; it’s small and kind of boring. I couldn’t wait to escape and move on to bigger and better things. My home town was mostly Caucasian, but somehow I ended up with a very diverse set of friends even though they made up less than 1% of the student body. Fast forward a few years, and I end up marrying a man from India. He’s from New Delhi, like Simmi. I’ve always been fascinated by other cultures; I even decided to pursue my Master’s in Sociology for this very reason. I credit two early life influences for this attraction: 1) My adoration of A.C. Slater in Saved by the Bell, 2) Disney’s Aladdin being the best movie ever. What was the inspiration for Farsighted? What would you like readers to take away from Farsighted? Is there a different message for adults than for teens? First and foremost, I hope that readers will enjoy themselves. My primary goal is to tell an interesting story that people will find entertaining and be glad they read. Secondly, I’d like to infuse contemporary Young Adult fiction with a bit more diversity and teach readers about the beauty of other cultures and other ways of life. 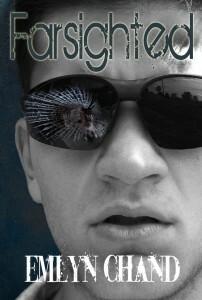 I also hope that Farsighted is a book that leads to introspection—what would I do if put in Alex’s place? Did Alex ever have a choice or was this path his destiny? What would it be like to see the world the way he sees the world? I like to think of anything I write as being kind of like a Disney movie, in that the primary audience will be children, but there are extra tidbits for the adults too. Farsighted has been infused with a great deal of research about runes, classic mythology, and Eastern spirituality, but you don’t need to understand any of that to be entertained by the story. There have been articles written this year about YA being too dark for teens. What are your thoughts on this? I definitely agree. I want to get back to the core of the YA genre, and I attempted to do that with Farsighted. I also think that paranormal has gotten a bit too out there. One thing I hear from readers quite a bit is that the paranormal seems normal in Farsighted. They don’t question the existence of the powers, and it doesn’t seem out there like some other books of the genre do. That was important to me. I wanted my story to be run by the characters, not the fantastic elements. This is a story about Alex, not about a blind psychic. What motivated you to structure the book around the runes? Remember how I said my Master’s degree is in Sociology? It’s actually Quantitative Sociology. I’m a numbers person as well as a word person. I love things to be organized just so. If you set a stack of papers in front of me; I’m going to fuss with them until they are lined up in a perfect stack. It’s just the way I am. Shaping each chapter around a rune gave the story order, which made me feel happy and comfortable. Whenever I got stuck and didn’t know what should happen next, I was able to learn more about that chapter’s rune and get the inspiration I needed to continue. The runes themselves tell a story, one that is successfully completed. I felt that boded well for Farsighted. What do you like to read? Who is your favorite author? I LOVE YA—I read it, write it, love it! My favorite author is JK Rowling. The more I read, the more I realize how brilliant she is as an author. If you remove the dialogue tags from Harry Potter, you still know which character is speaking, and Rowling managed to create an intricate beautiful world without allowing her character development to suffer, which is tremendously rare. I consider her literary God. Suzanne Collins, and JD Salinger are classic faves. My all-time favorite book is A Prayer for Owen Meany by John Irving, definitely. The novel has so many layers and entertains on so many levels. Also the characters in that novel seem more real than those from any other I’ve ever read. It’s just beautiful—that’s the only word for it. If you had to be stuck on an island for a year with three literary characters, who would they be? First up, we’d obviously take Robinson Crusoe. He knows what he’s doing, and he can be the provider. I’ll also take Katniss Everdeen from the Hunger Games—if we get in any kind of danger, she’d be a great protector. Lastly, I’d take Ron Weasley. Ron and I can live the good life, while the other two make sure we all stay safe and well-fed. I know I would never get bored with Ron around—he’s just 24/7 entertainment. You’ve taken a risk by going with an unconventional ending. Without spoiling the story for your readers, can you tell us why you made this choice? Are you glad you did this? Do you feel it’s been successful? Why or why not? Yeah, I ended with a cliffhanger, which goes against traditional publishing wisdom. But you know what? I. AM. INDIE! Being indie means taking risks and breaking the mold and, boy, am I excited to do it. The ending is kind of polarizing, people either love it or wish there was more there. The joining thread is almost everyone mentions looking forward to the next book in the series. Farsighted demands a companion, and people see that. I think it was a good decision since this is the first in the series and since I enjoy toeing the line of convention. It’s fun to shake things up. Find Emlyn Chand in her facebook page, webpage, twitter, goodreads. Now it's time for the GIVEAWAY!! Today you have the chance to win $50 Amazon gift card or an autographed copy of Farsighted. How do you do that?!? You simply have to log into your Facebook and share this post. WAIT! That's not the only way or the only prize. You can win many more, find out about them by clicking here. I'm also a fellow blogger on this tour! I very much enjoyed reading Farsighted and can't wait for the next book in the series. I have a couple guesses from whose perspective it might be told from but will just have to wait and see! Wishing you and your family a very Happy and Healthy New Year! @Emlyn lol. I swear I was born in the wrong century. I am pretty sure I was born in 1850 so that would make me 161-162 year old Bangladeshi woman. But unfortunately goodreads does not allow anyone more than 100 year old to sign up. Boooooo.